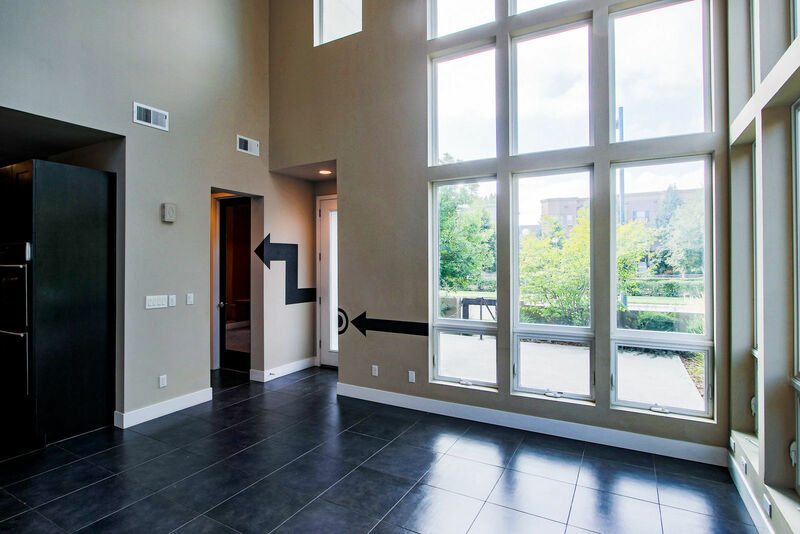 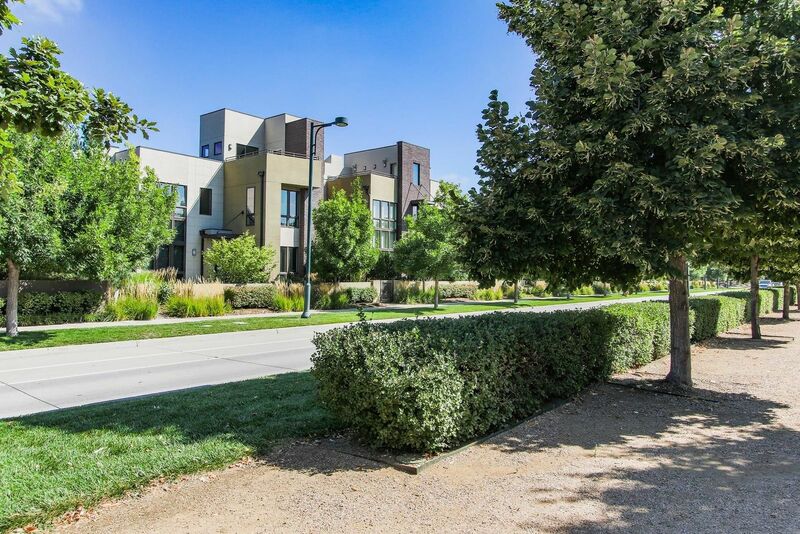 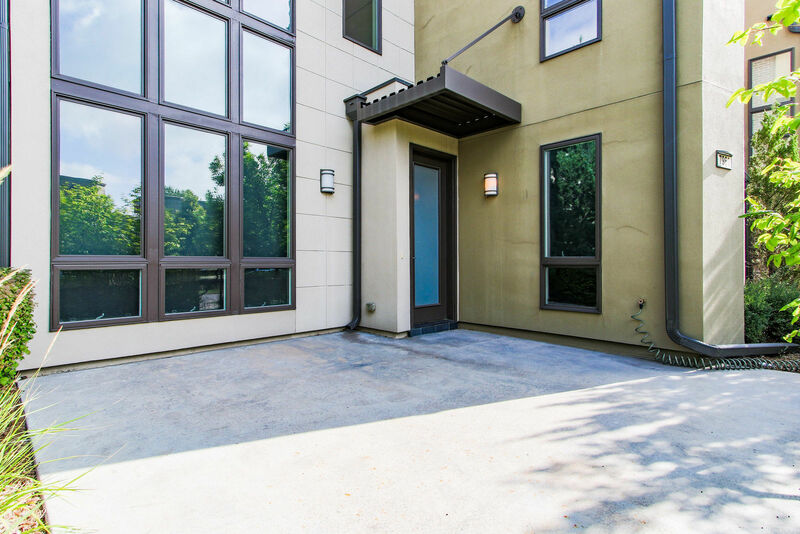 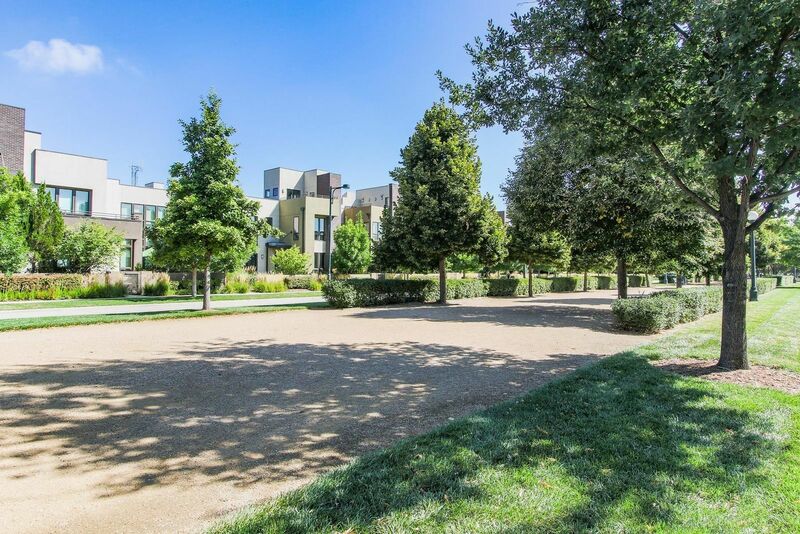 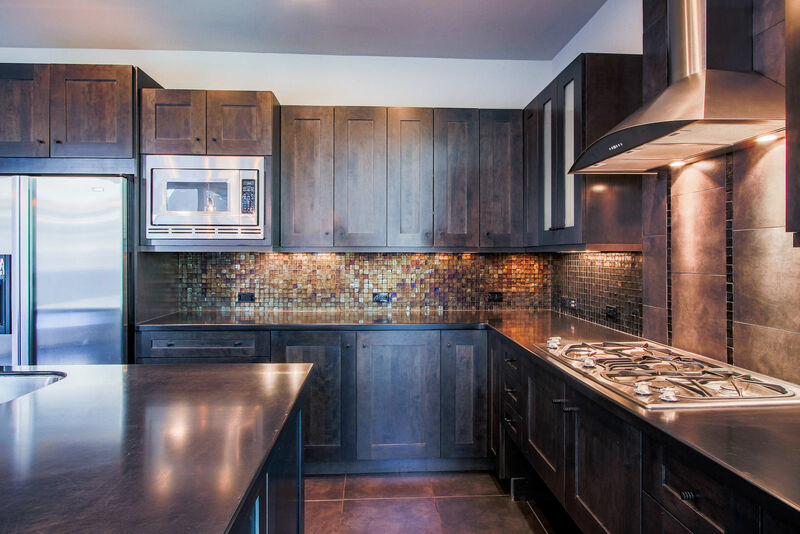 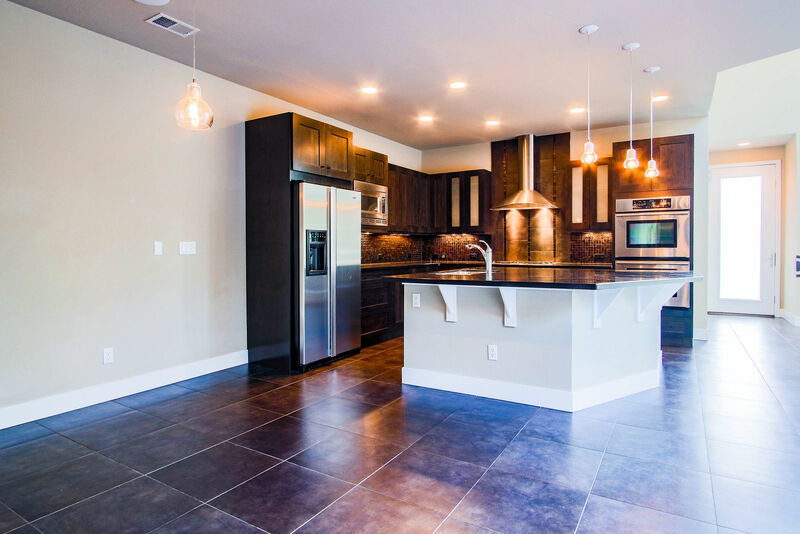 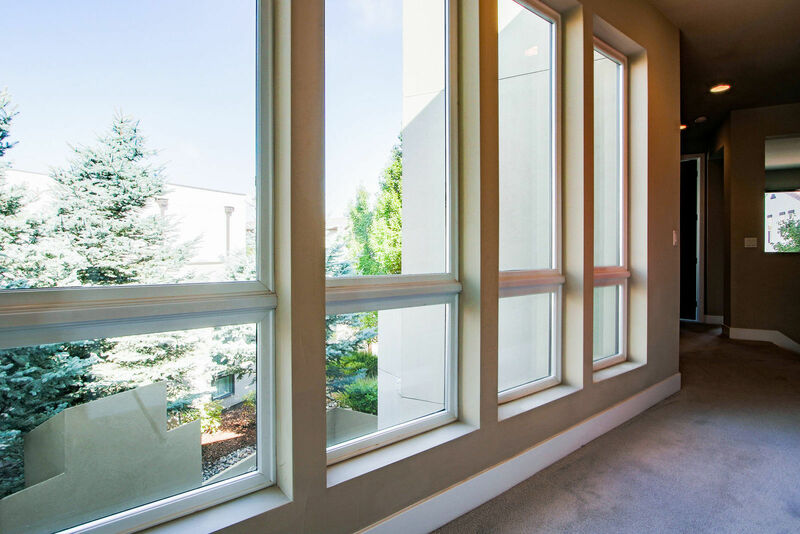 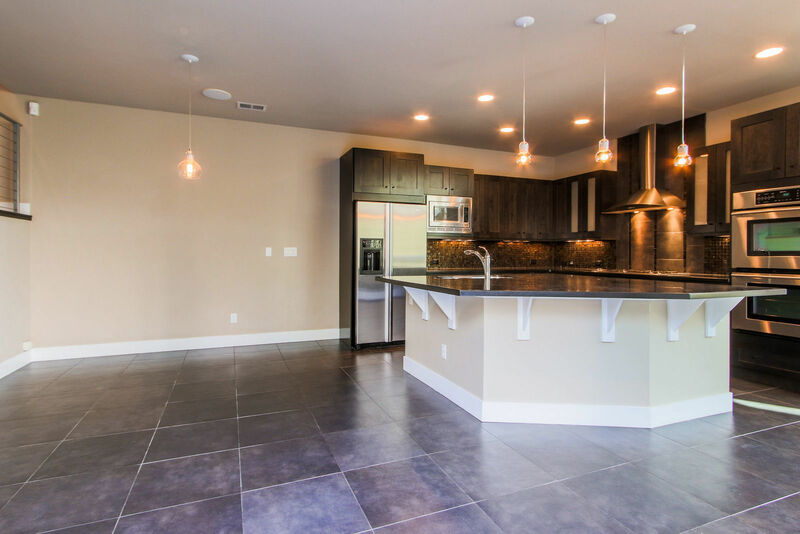 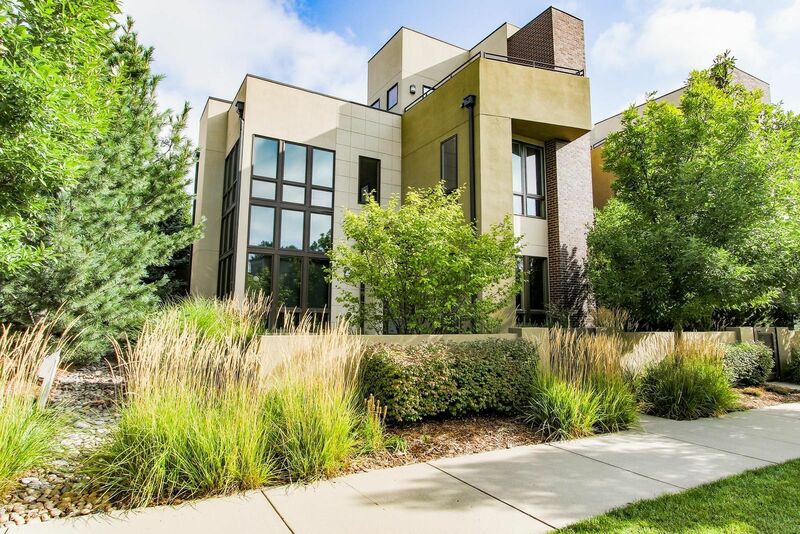 Modern spacious luxury Townhome provides distinct contemporary style for the discerning homeowner. 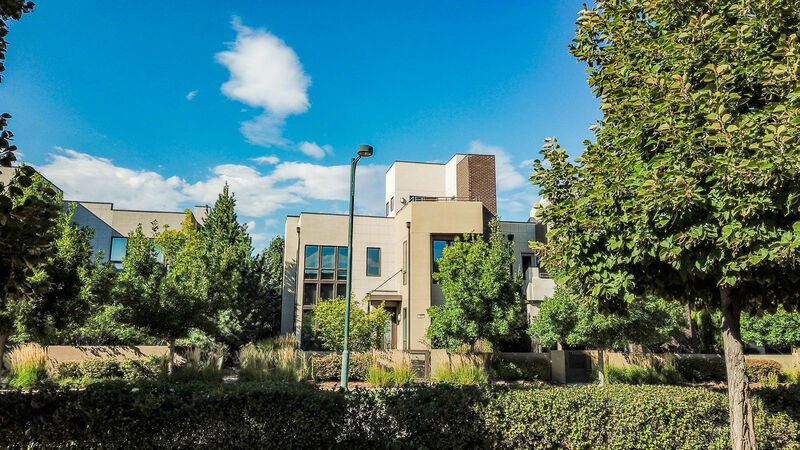 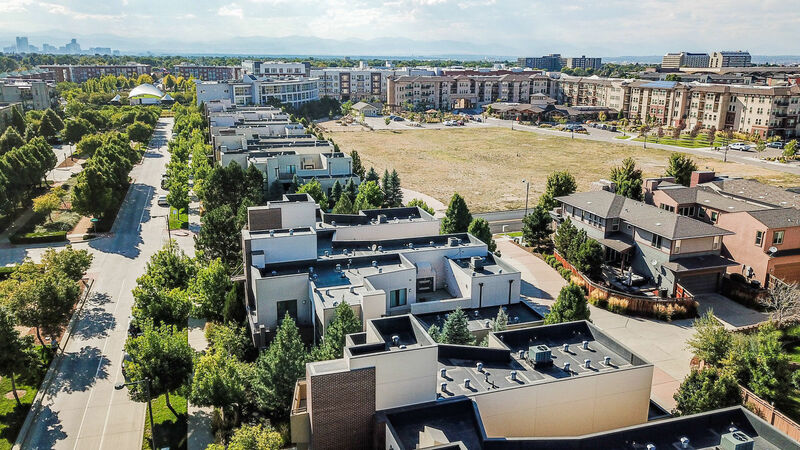 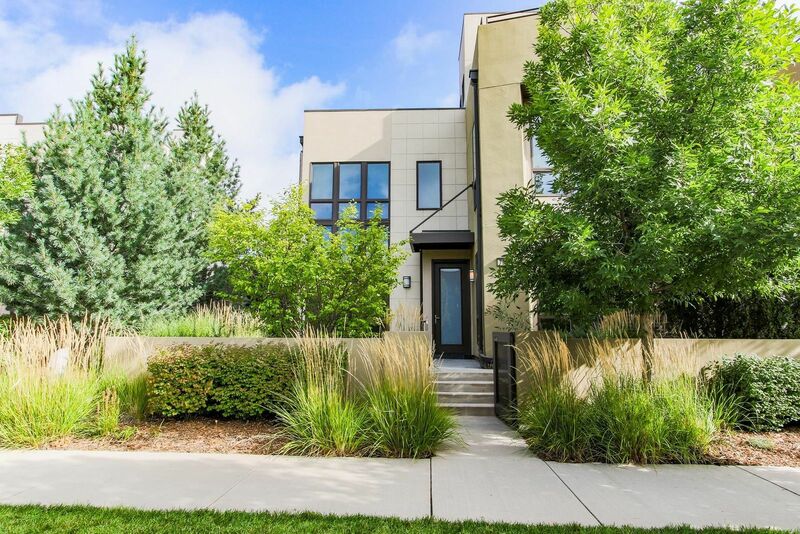 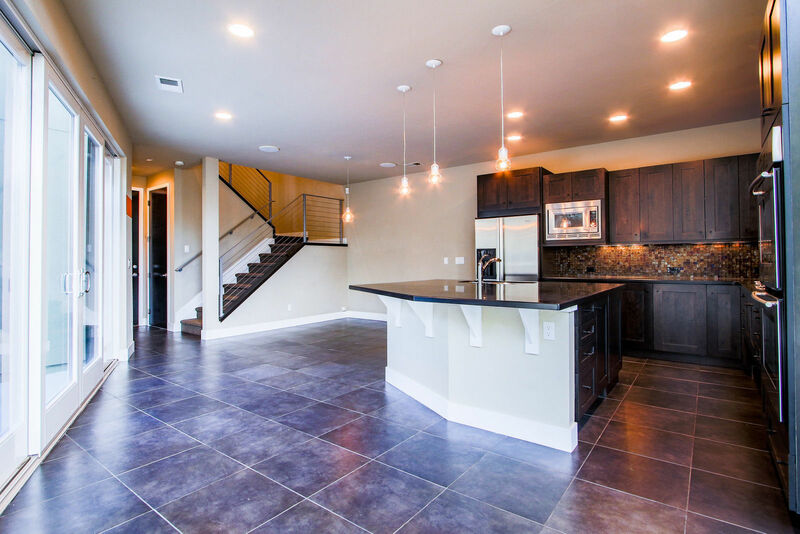 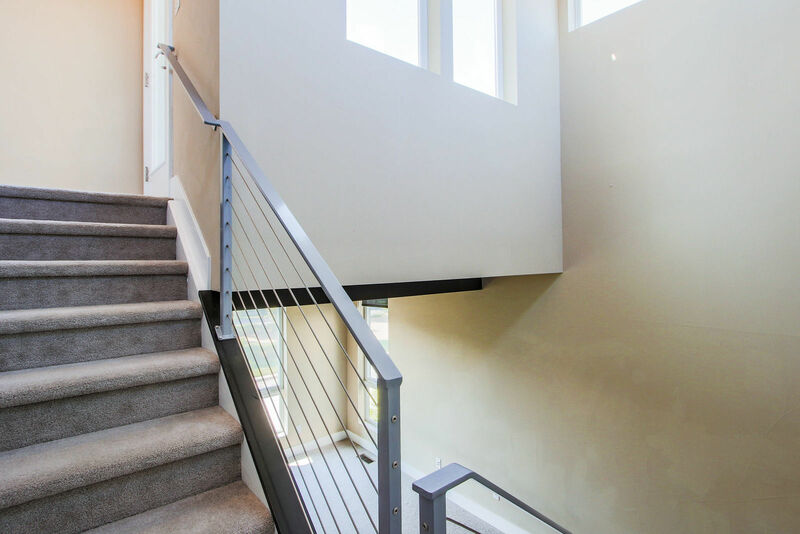 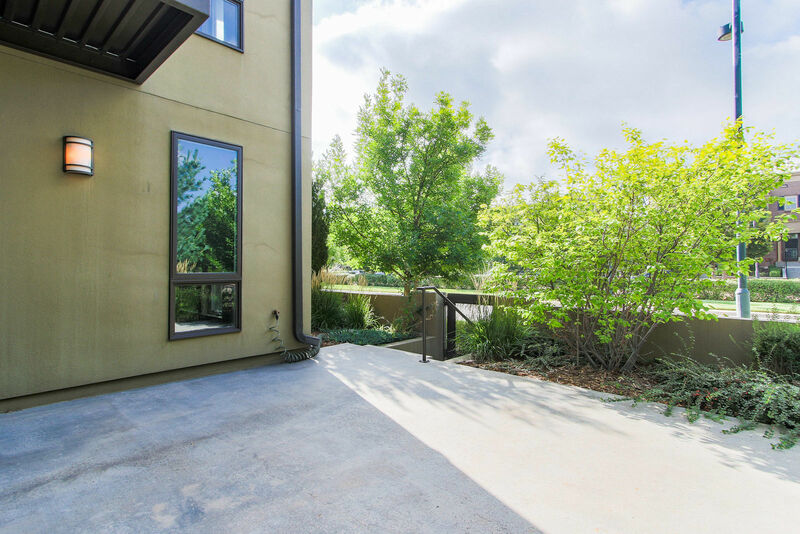 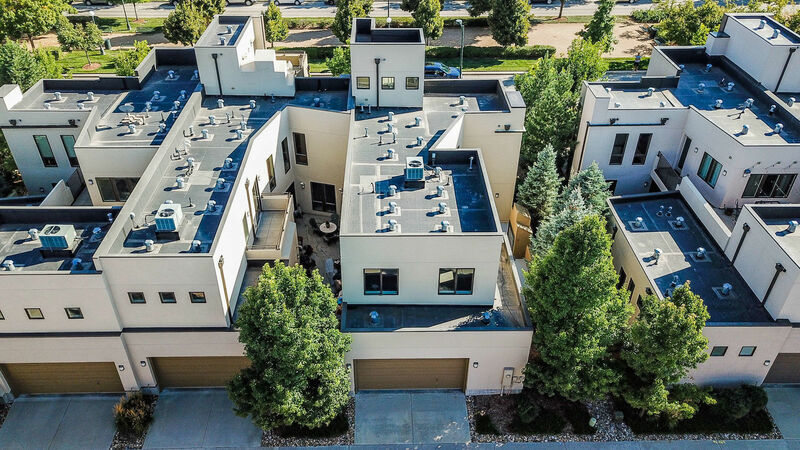 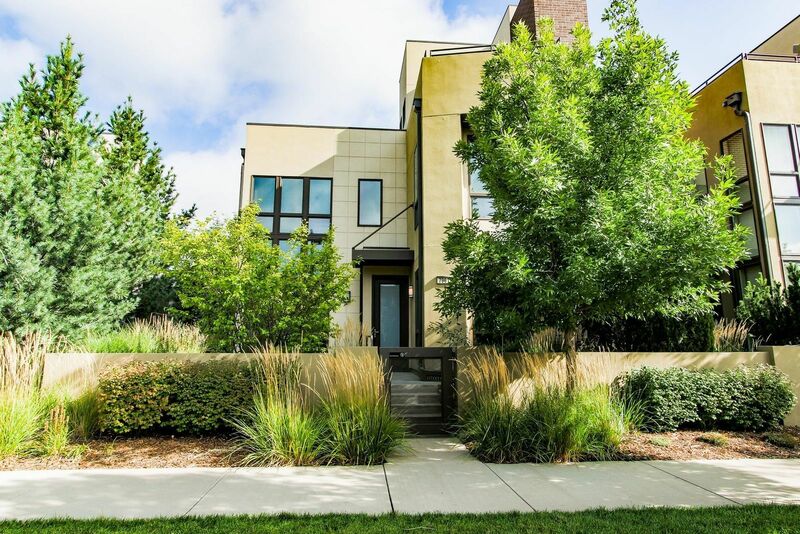 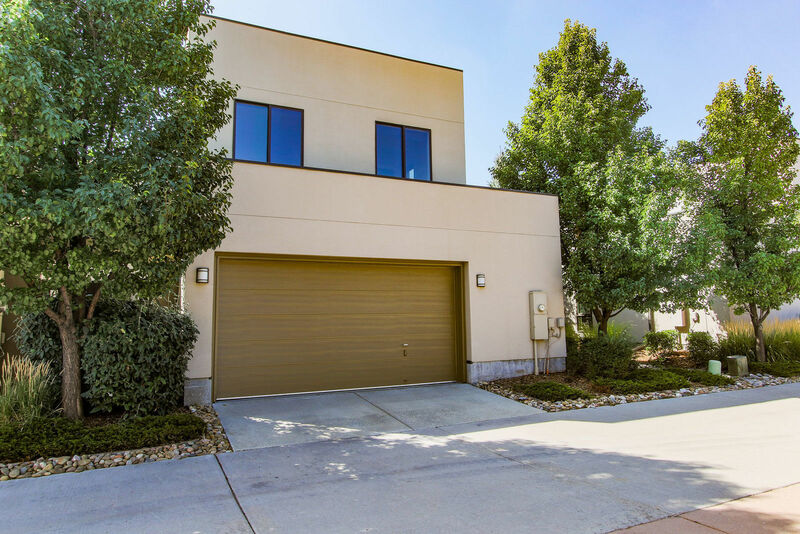 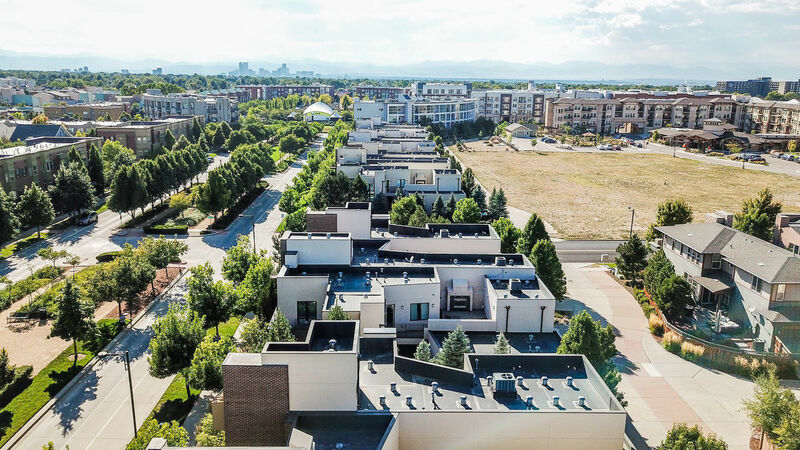 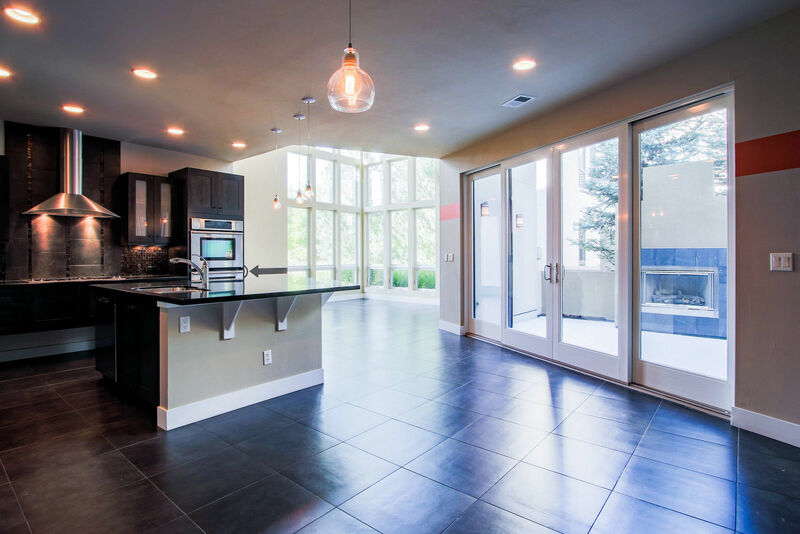 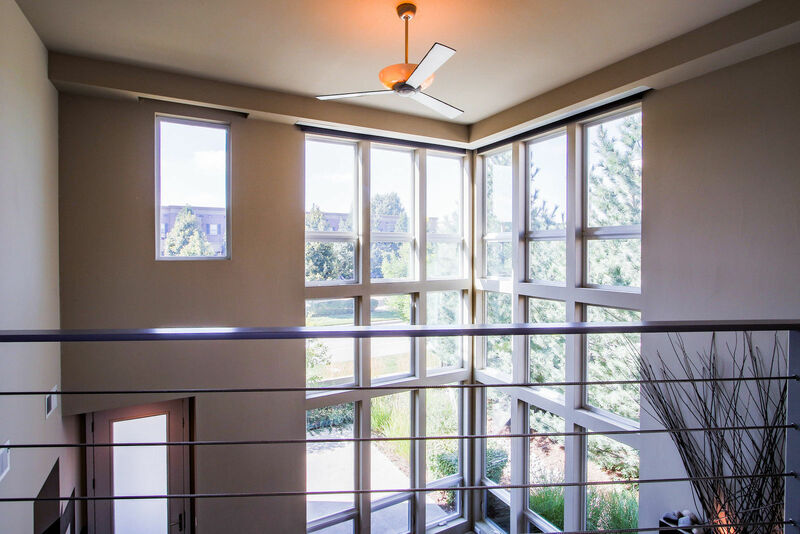 This Sky Terrace townhouse was built by Infinity Home Collection, an award winning builder famous for its innovative designs and architecture in Denver for over a decade. 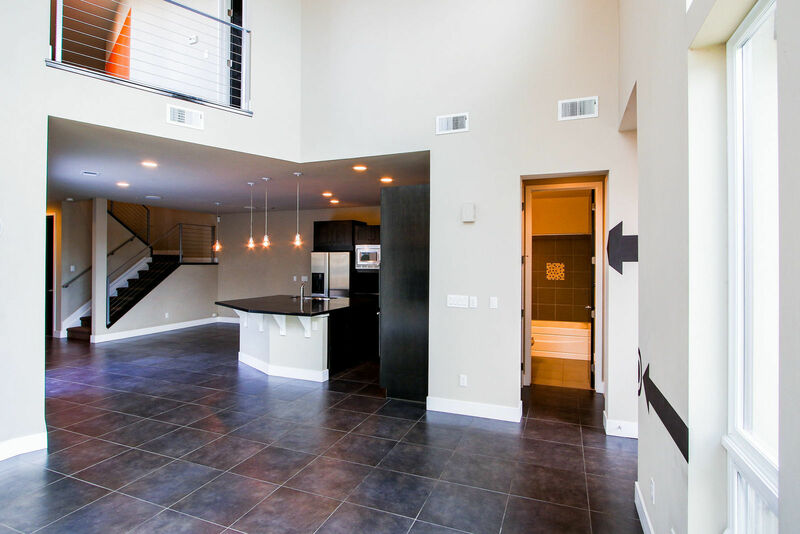 Everything in the house was upgraded; whole interior was custom designed, unique from the rest of the neighborhood. 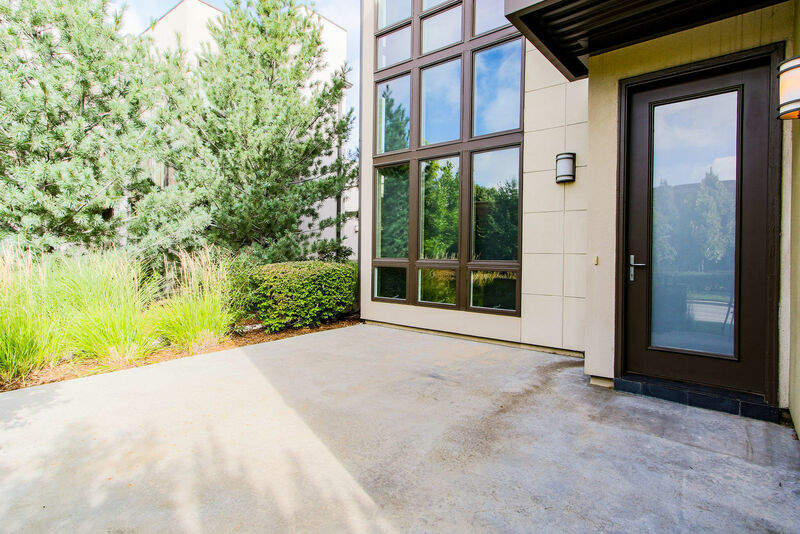 Enter into gated entrance with nice patio. 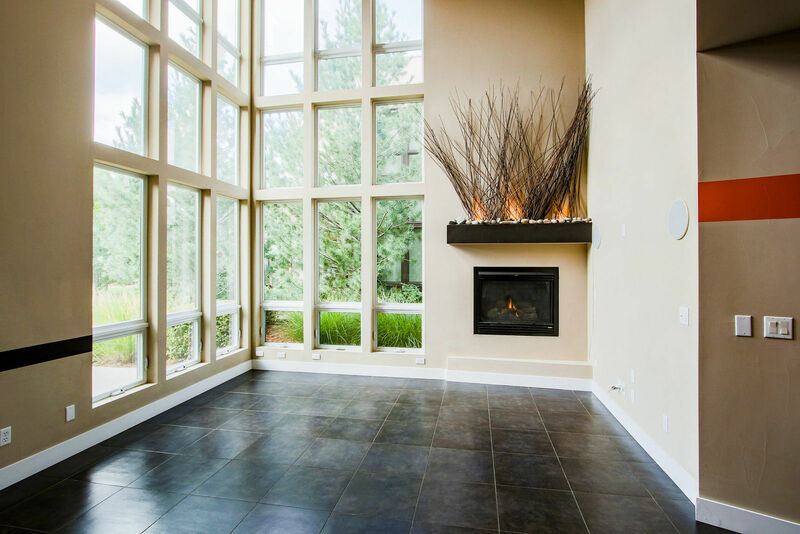 The Great Room boasts 2-story windows and uniquely lit fireplace. 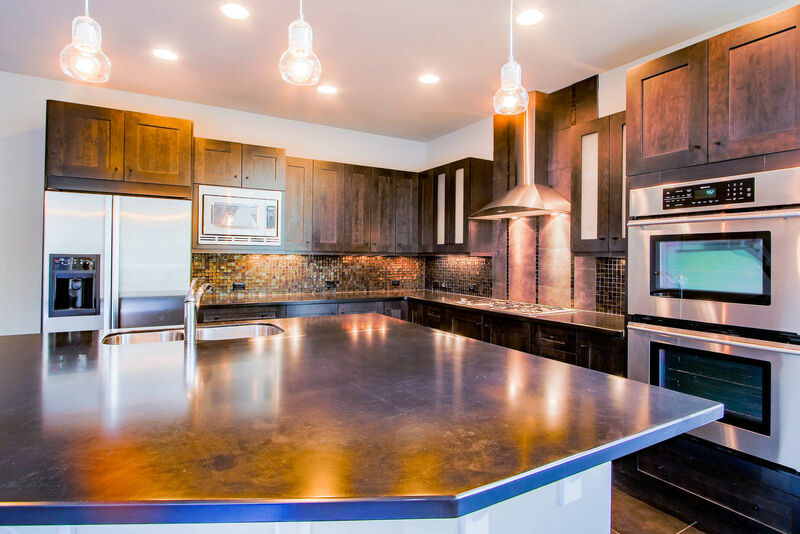 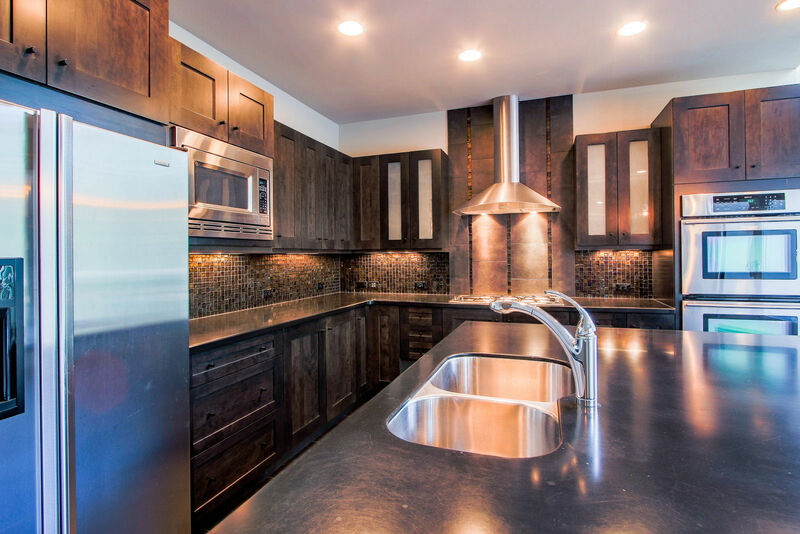 Entertain in the large gourmet kitchen enhanced with stainless steel Jenn-Air-appliances including a 5- burner gas range, double ovens and a large island. 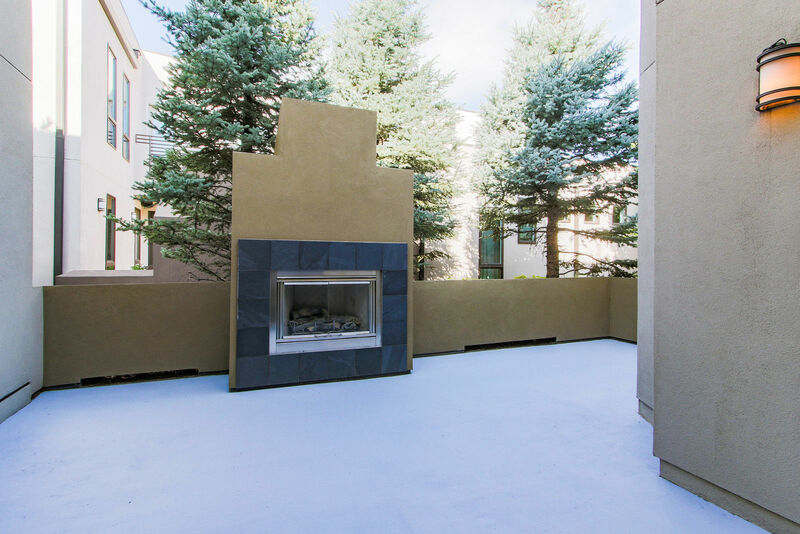 Enjoy the direct access to a private courtyard off the Kitchen/Dining area with a cozy outdoor fireplace. 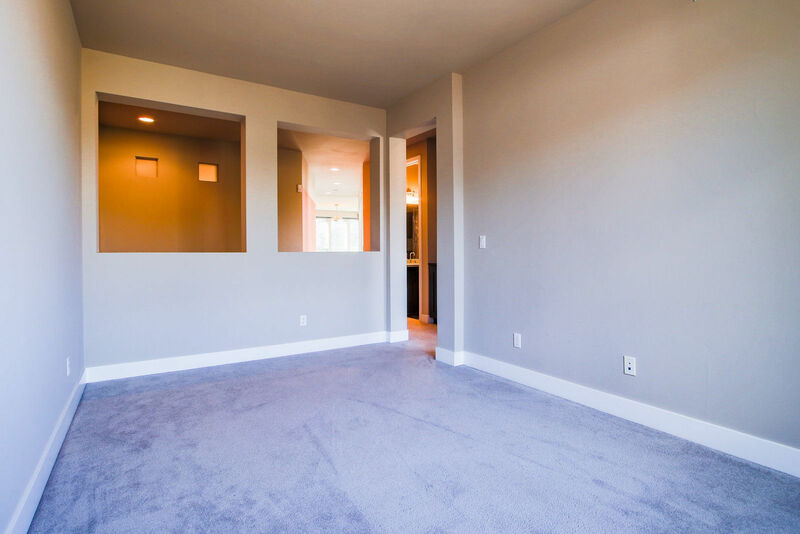 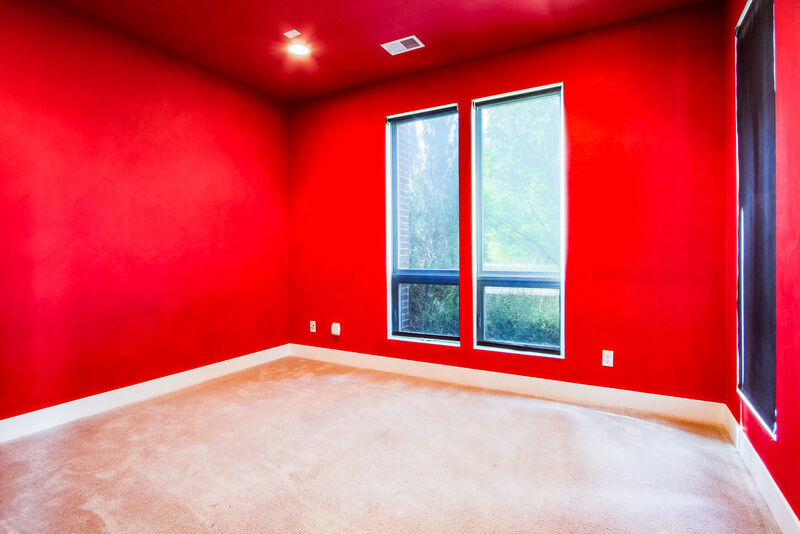 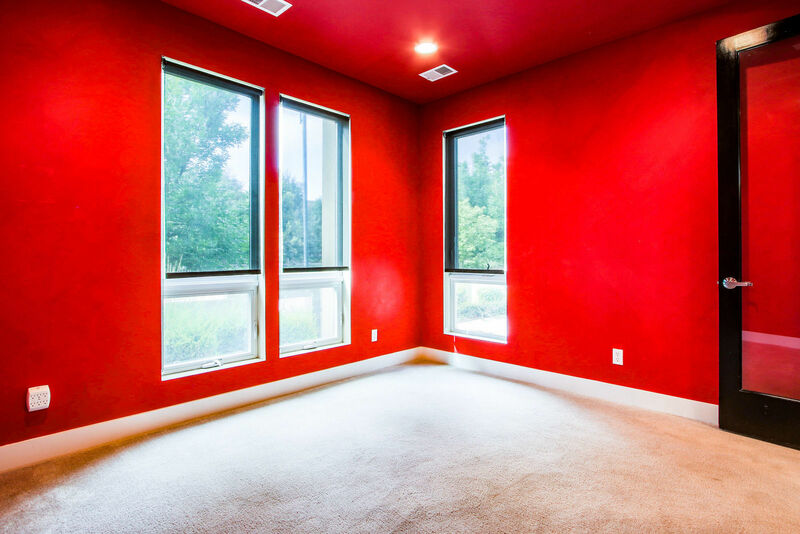 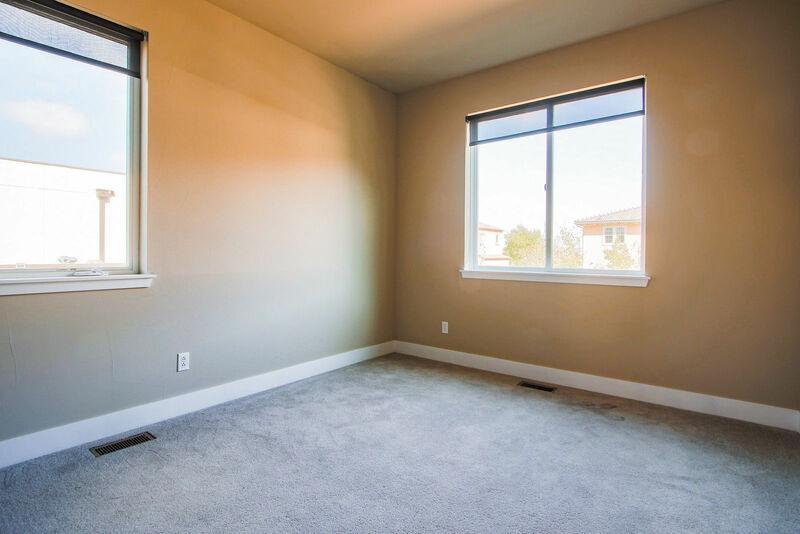 There is a room with generous space on the main floor next to a full bathroom that could be used for bedroom, media room or study. 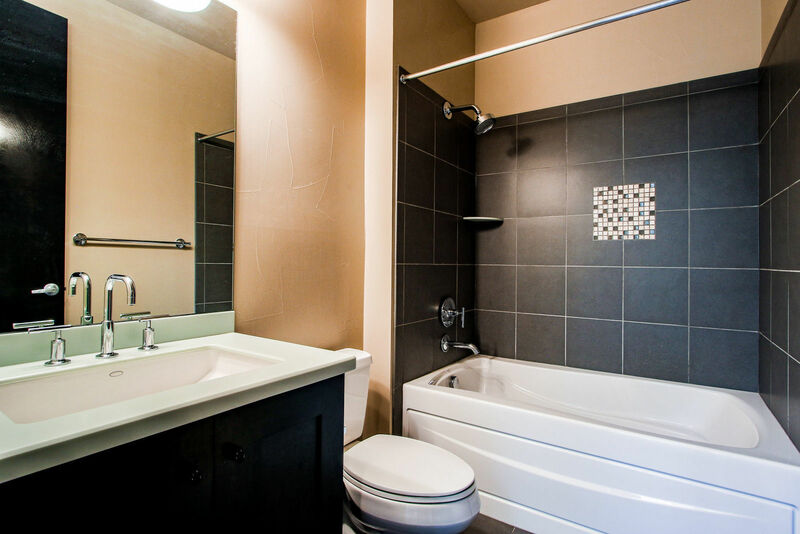 The upper level has a secondary bedroom and full bath. 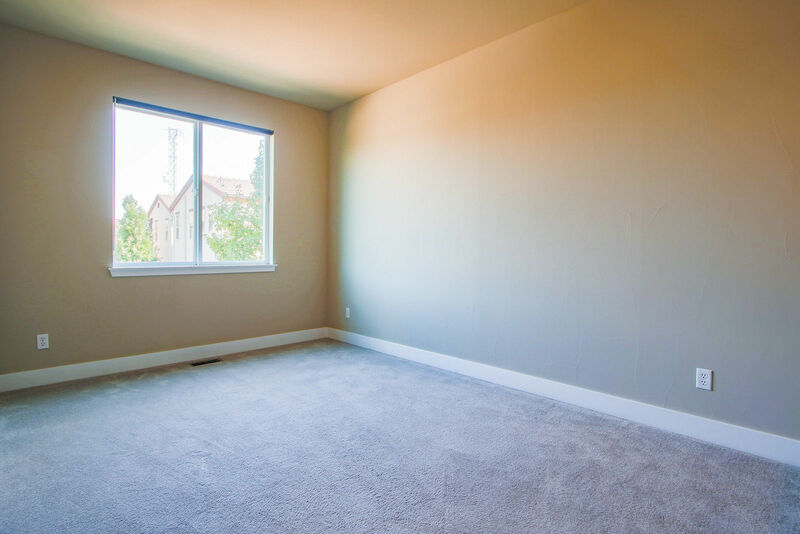 There is also a flex space for an exercise or recreation room. 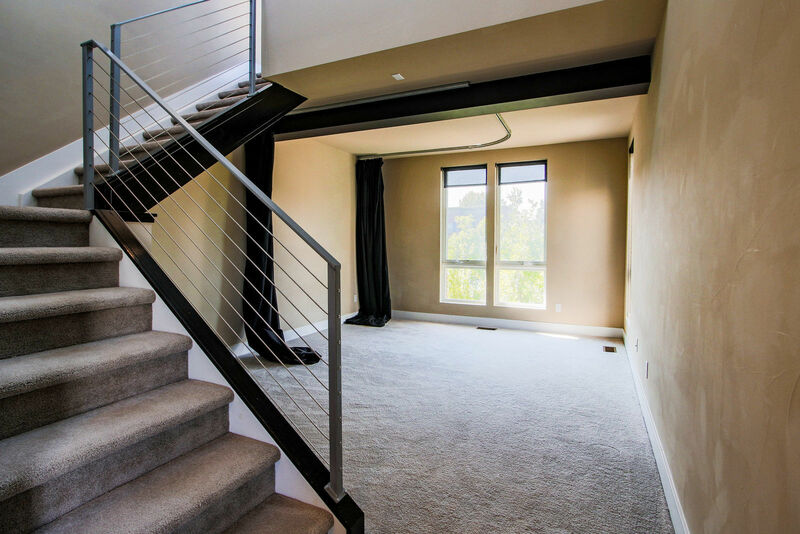 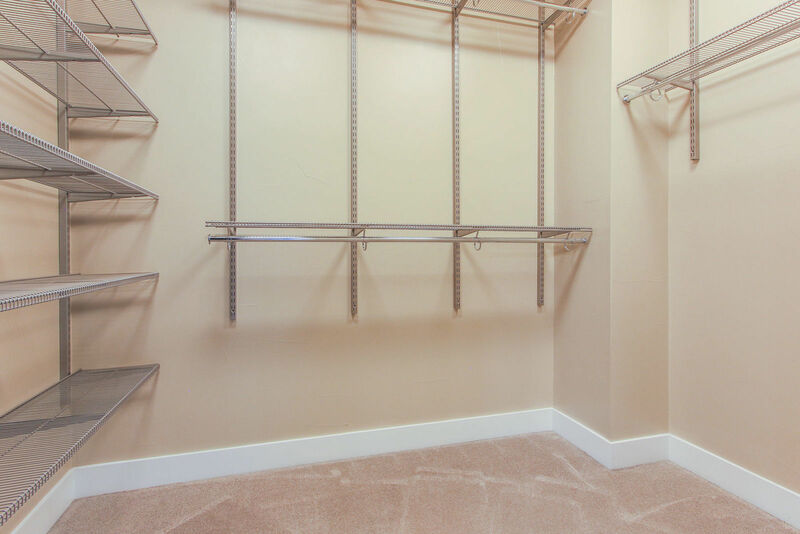 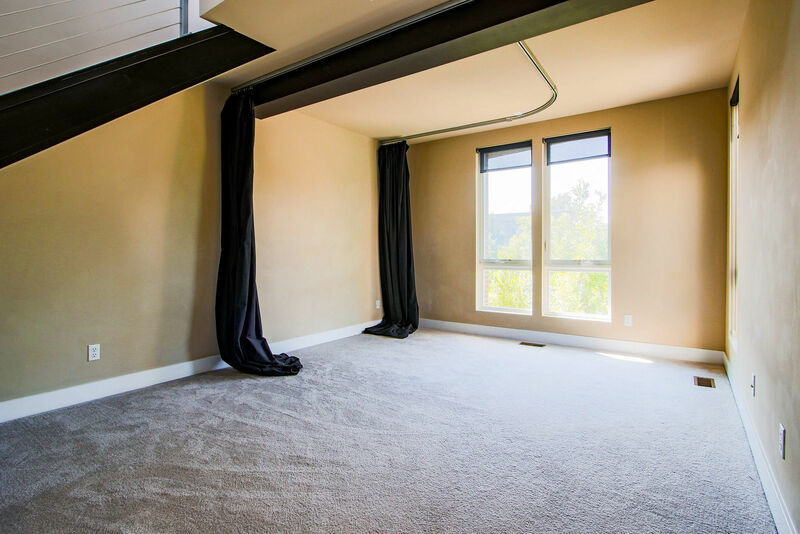 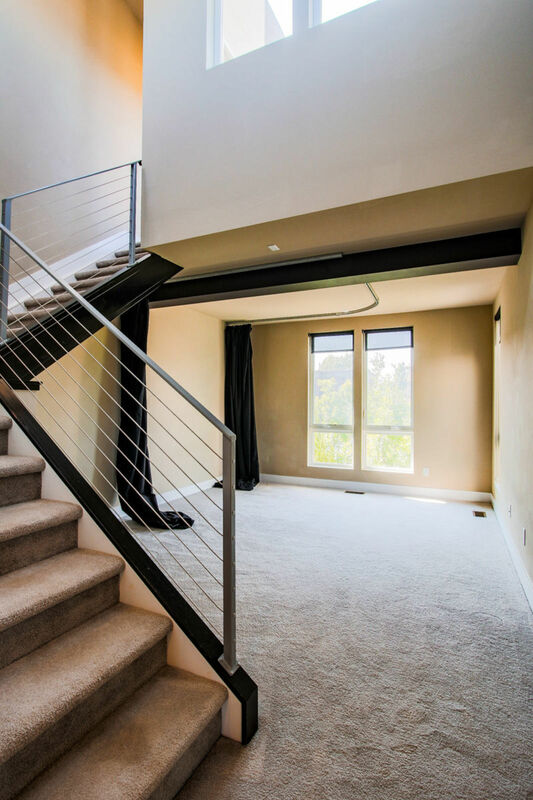 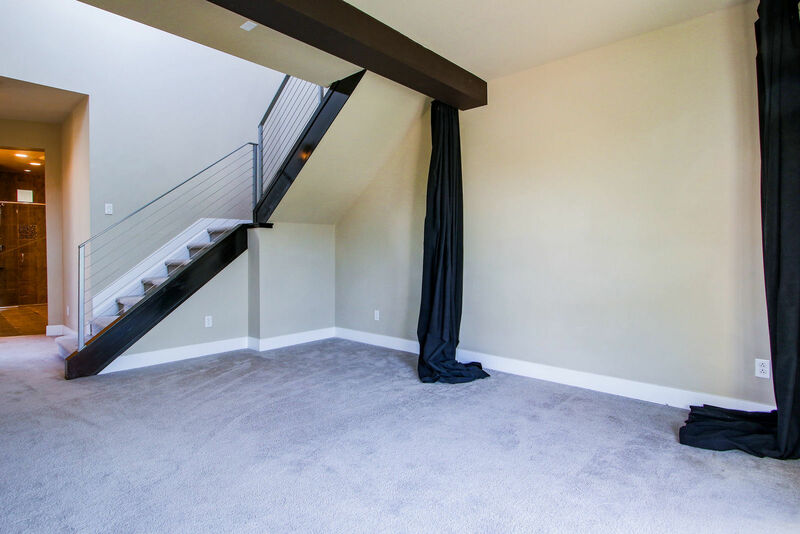 The spacious Master bedroom finishes off the upper level with custom blackout draperies that surround your bed for sleeping comfort along with a large walk-in master closet. 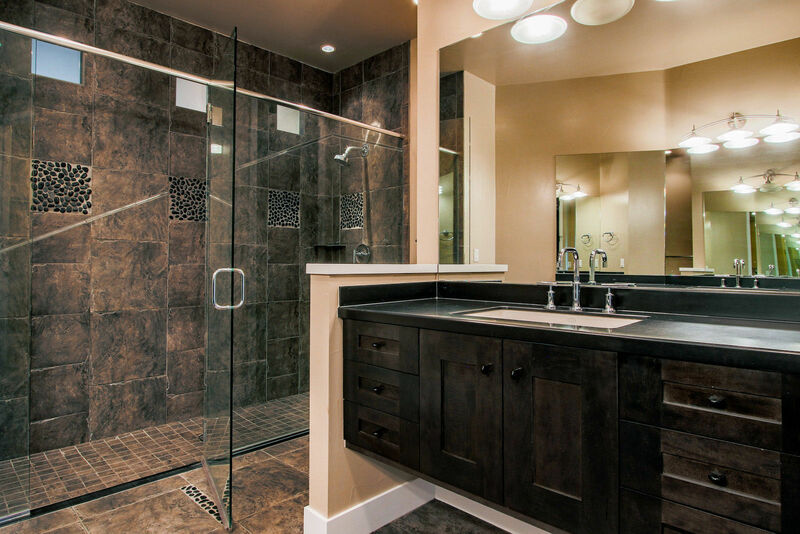 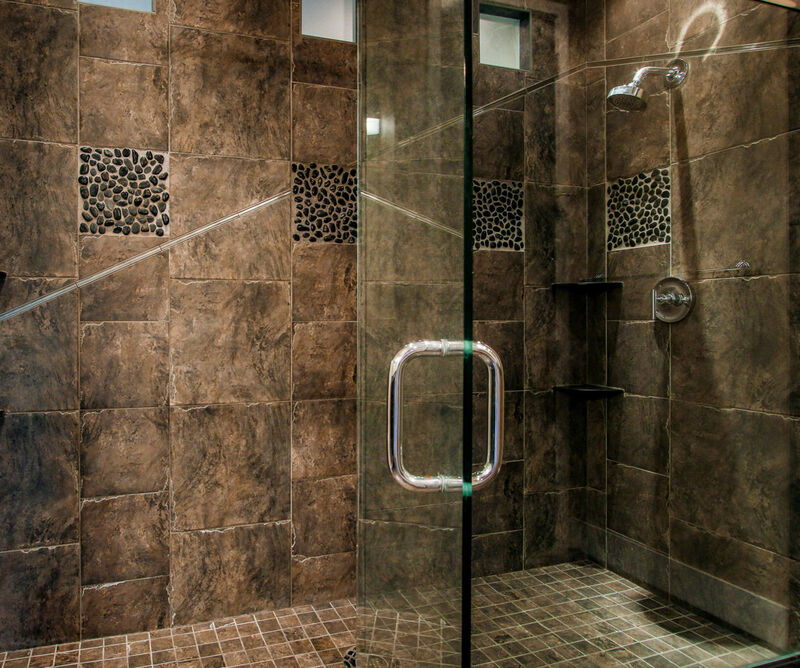 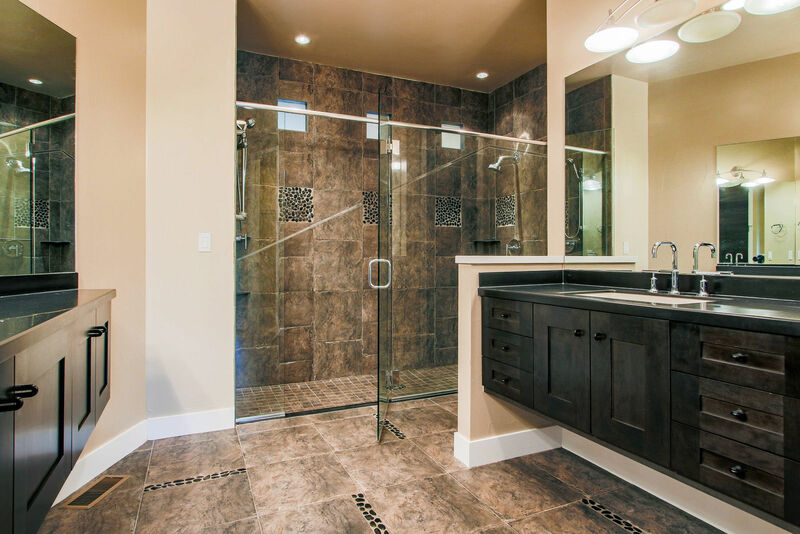 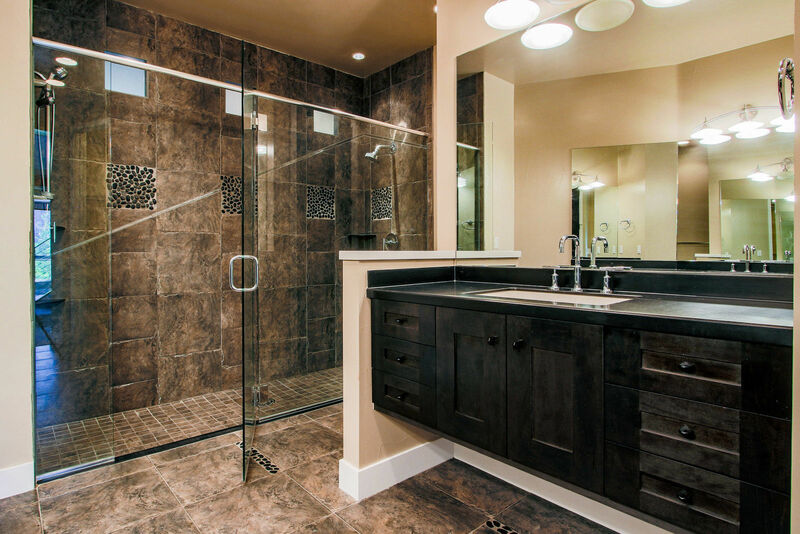 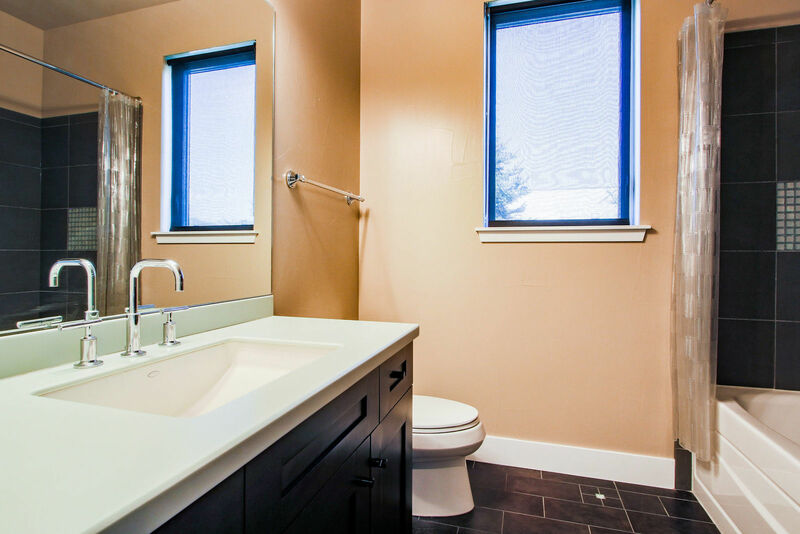 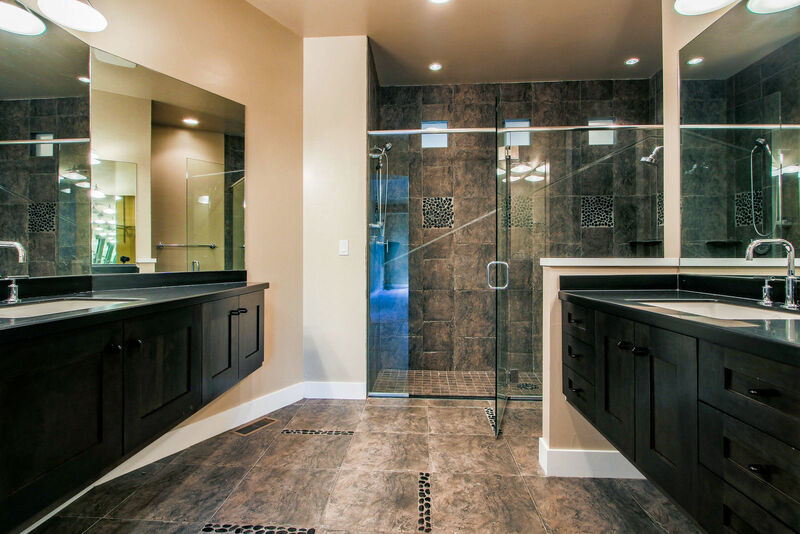 The elegant Master bath has dual vanities, spacious tile surround walk-in shower and beautiful tile floor and granite counters. 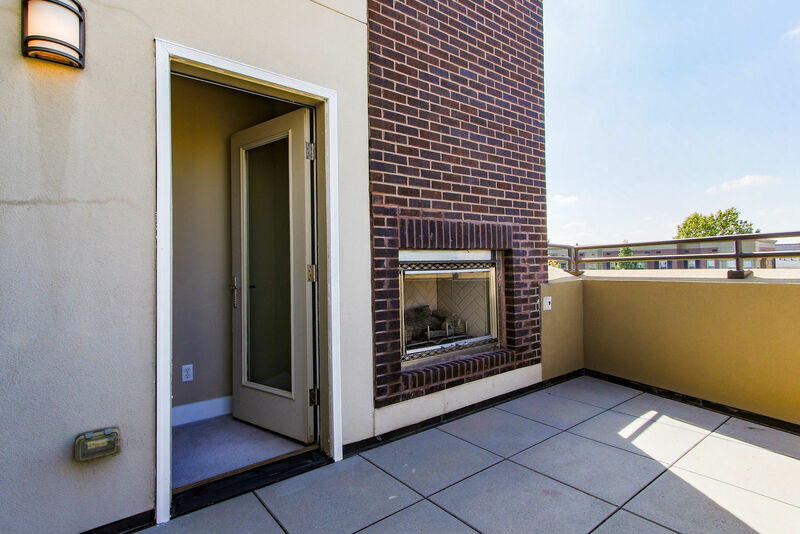 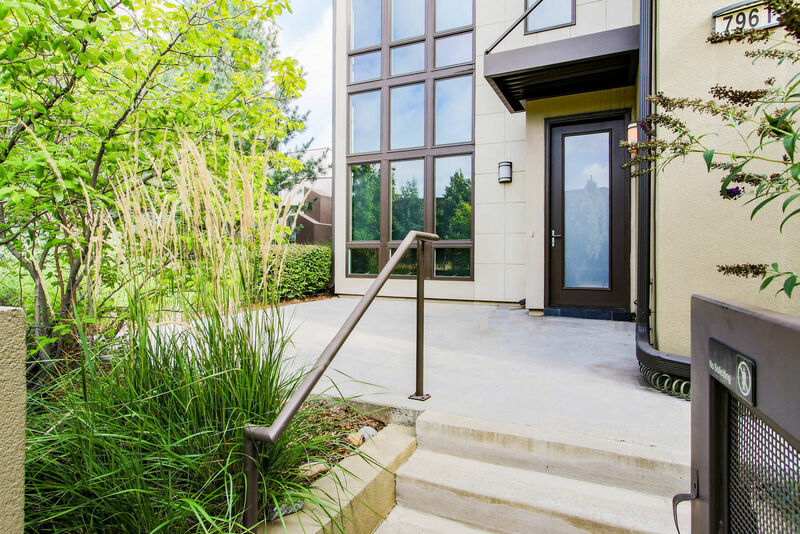 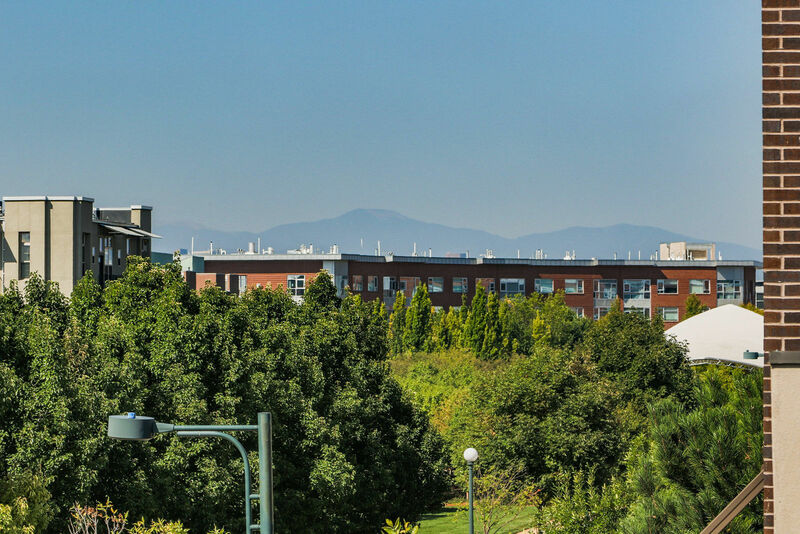 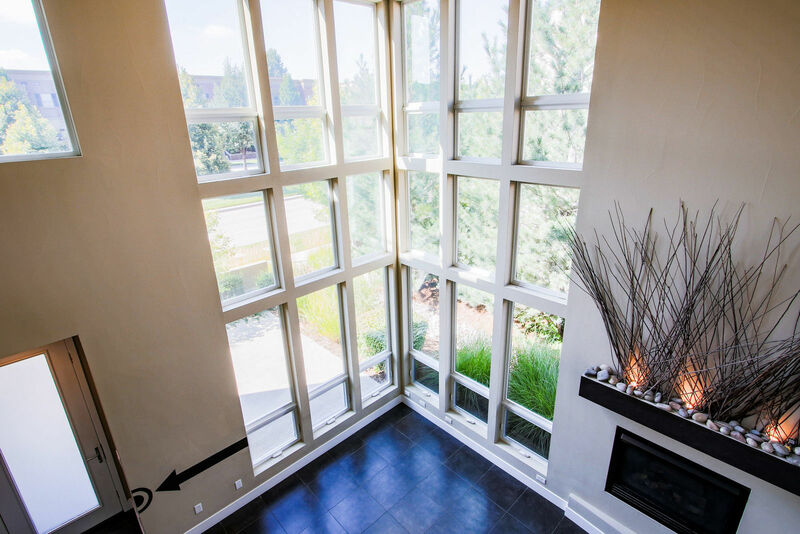 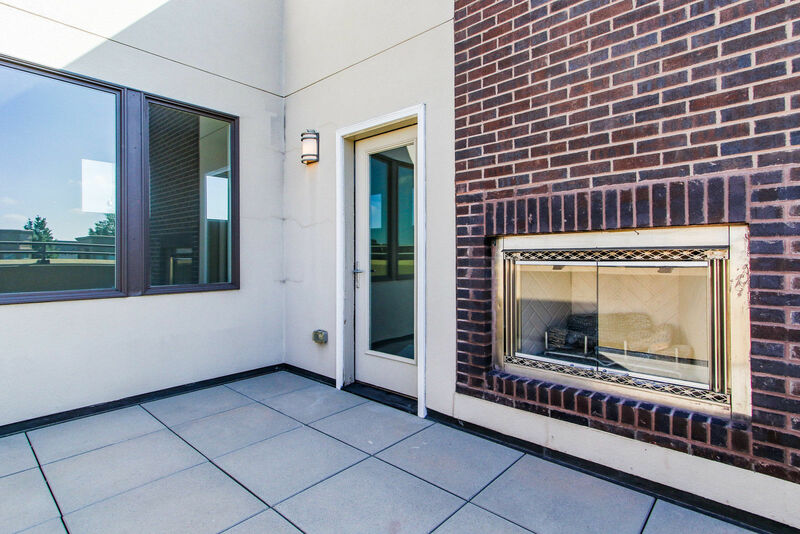 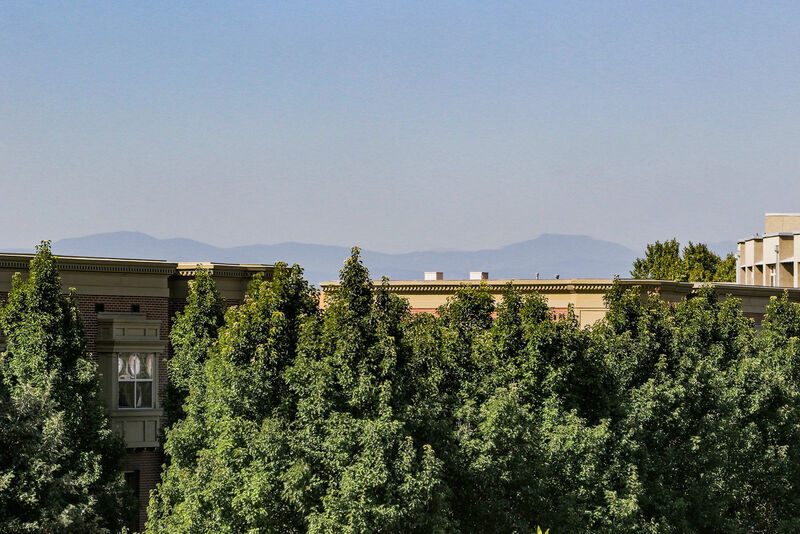 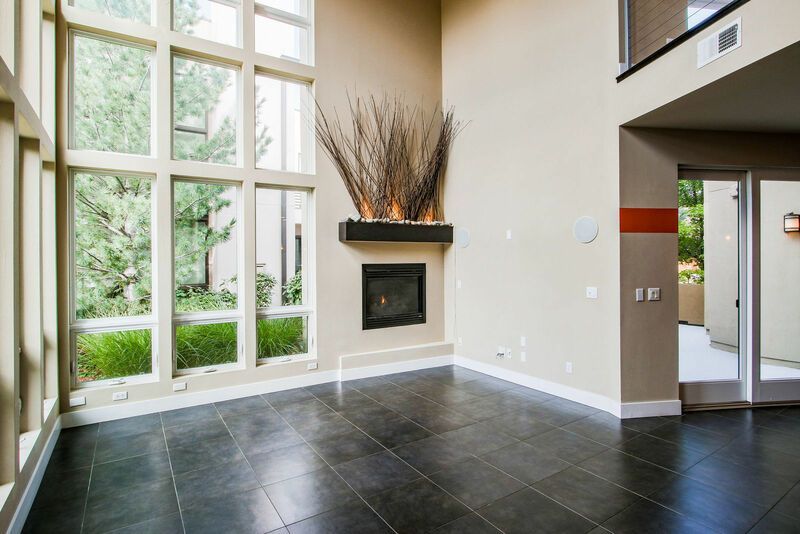 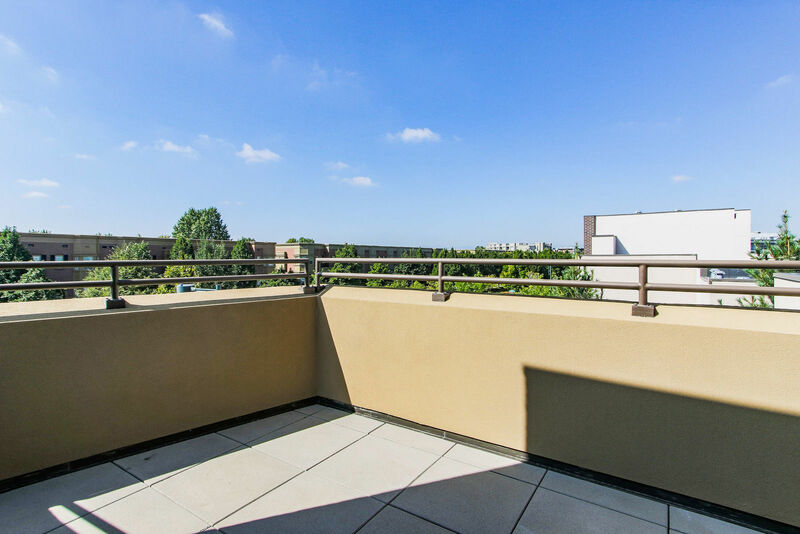 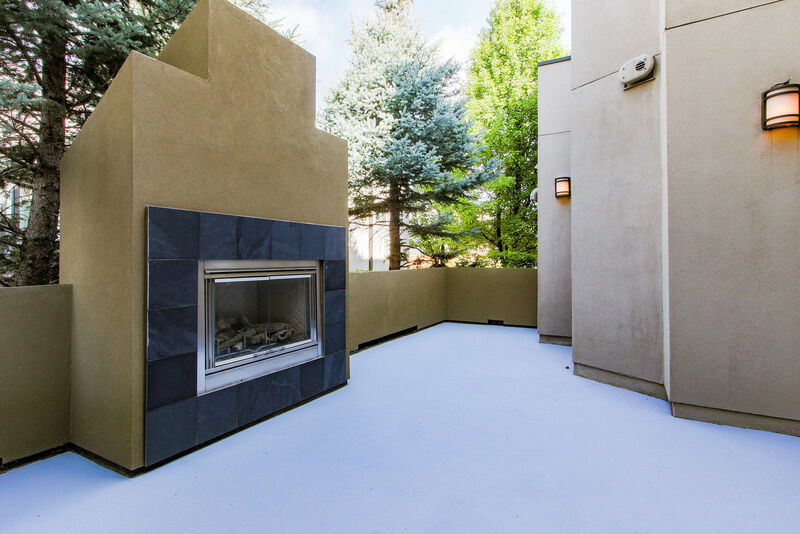 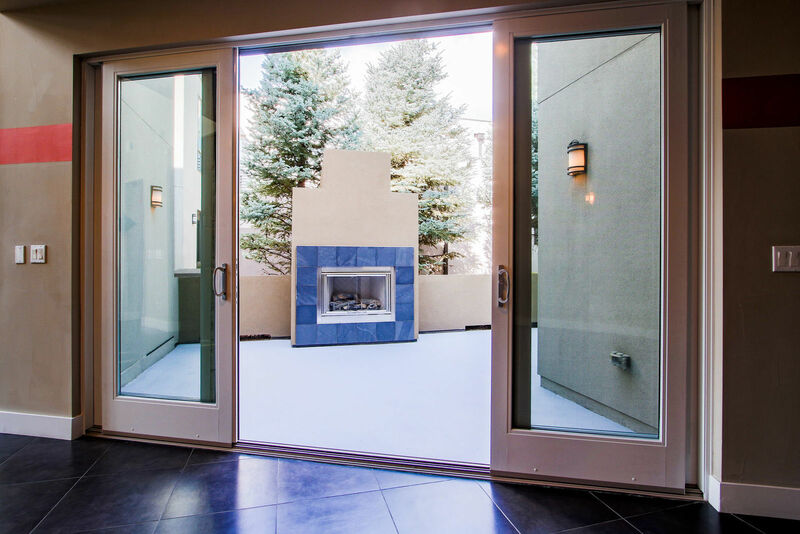 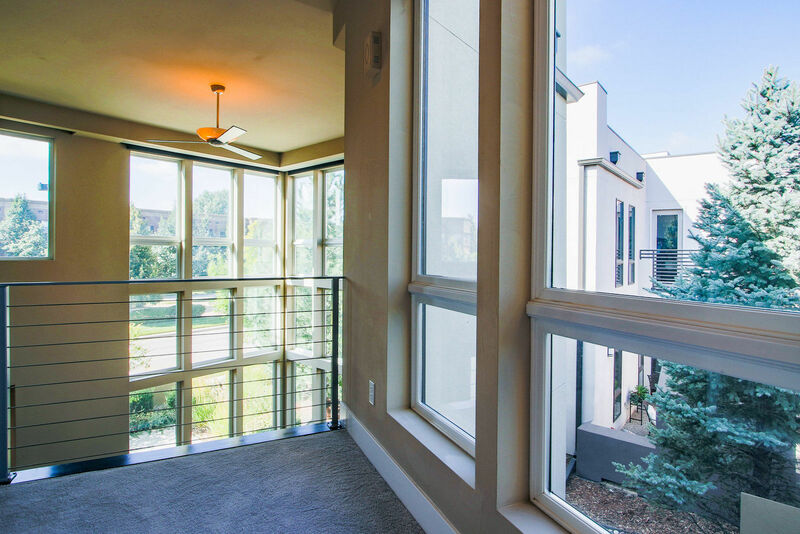 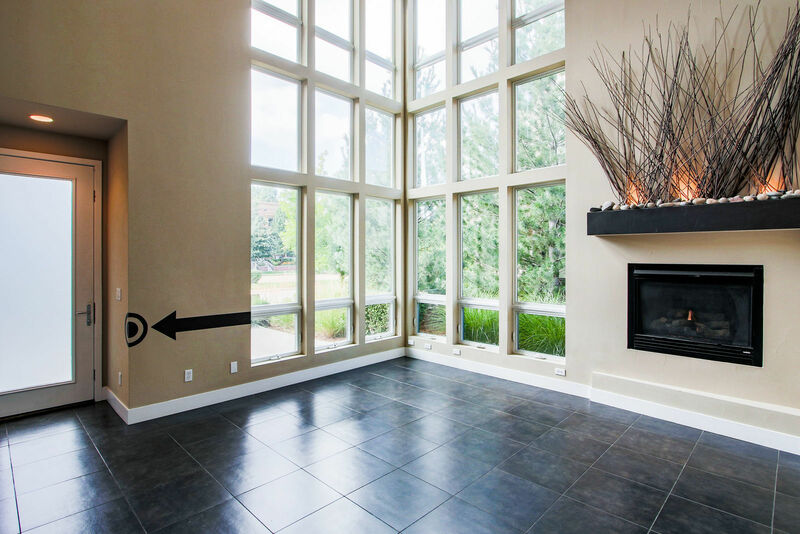 Escape to the 3rd floor sky terrace with outdoor fireplace and views of the Front Range! 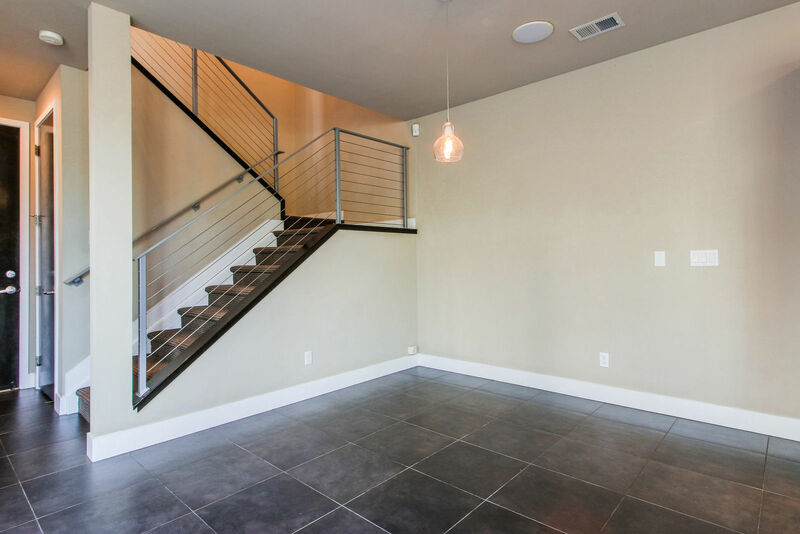 Cable-ready speakers in ceilings of great room and dining area. 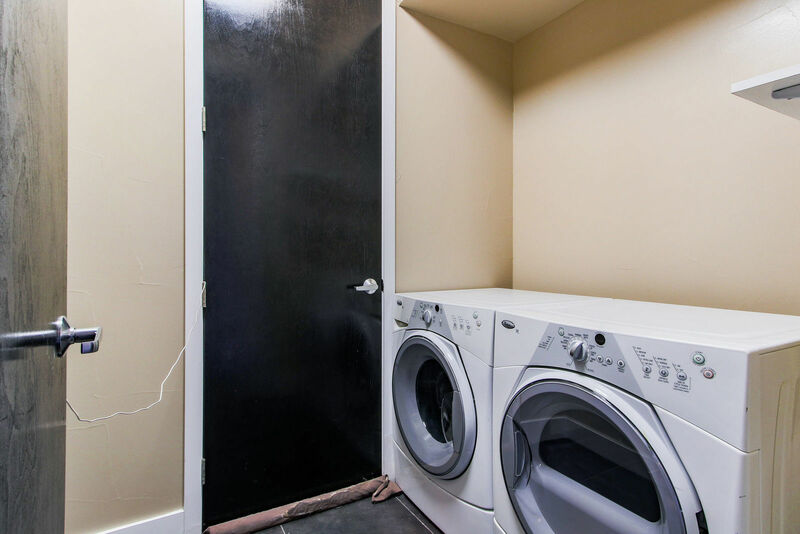 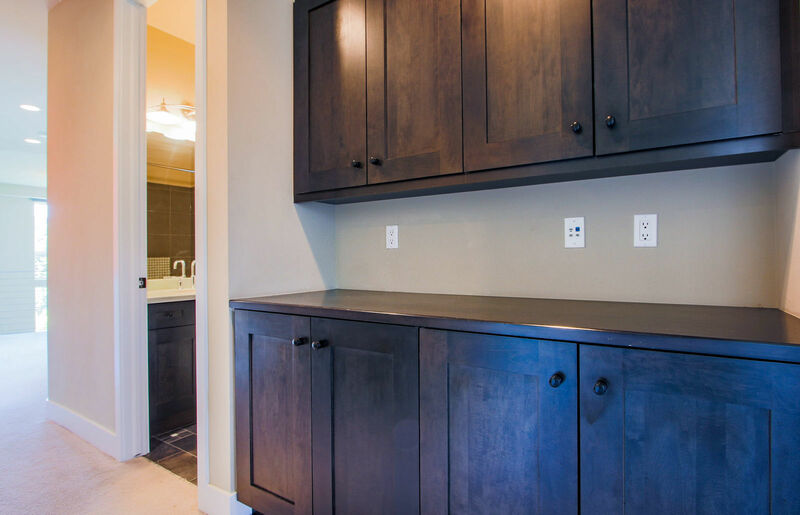 Finally, there is a separate laundry room and roomy 2-car attached garage with remote. 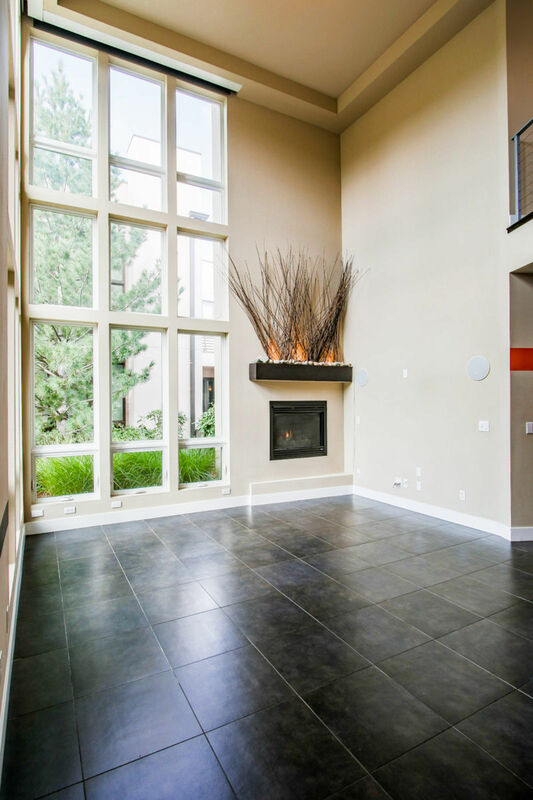 2200 square feet of indoor living space plus 738 square feet of outdoor living space. 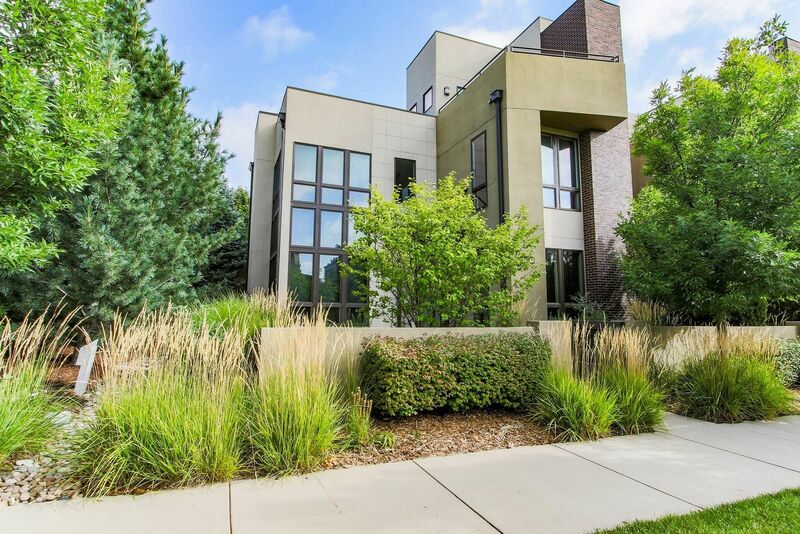 Come see this spectacular one-of-a-kind property!